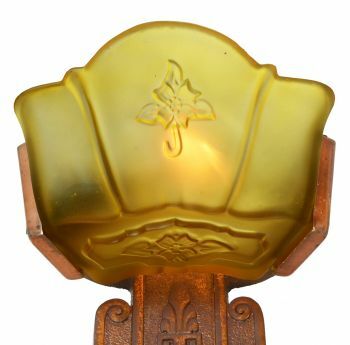 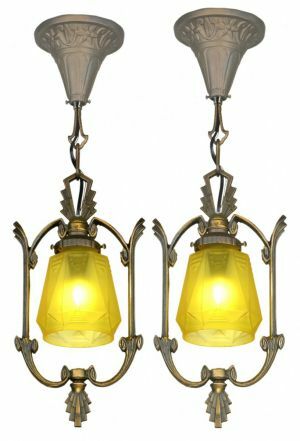 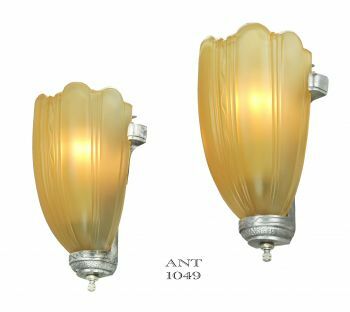 Antique Art Deco Slip Shade Pair of Sconces by Markel. 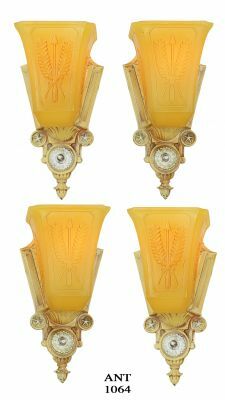 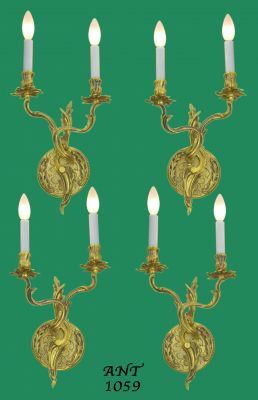 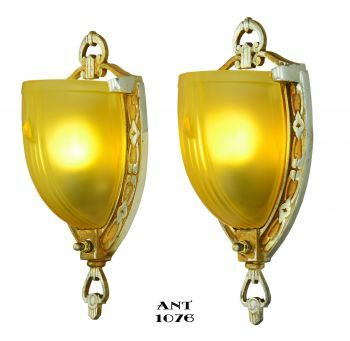 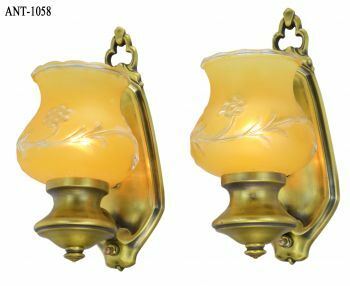 These sconces, Circa 1936 (by catalog dating), was part of their "9600 line". 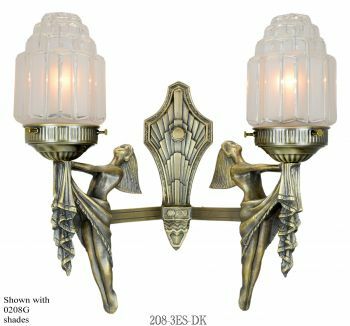 These sconces were Model 9601 which was the only sconce in this 9600 series. 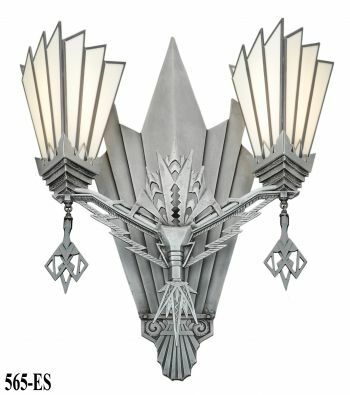 Wide shades came a bit later in the Deco era. 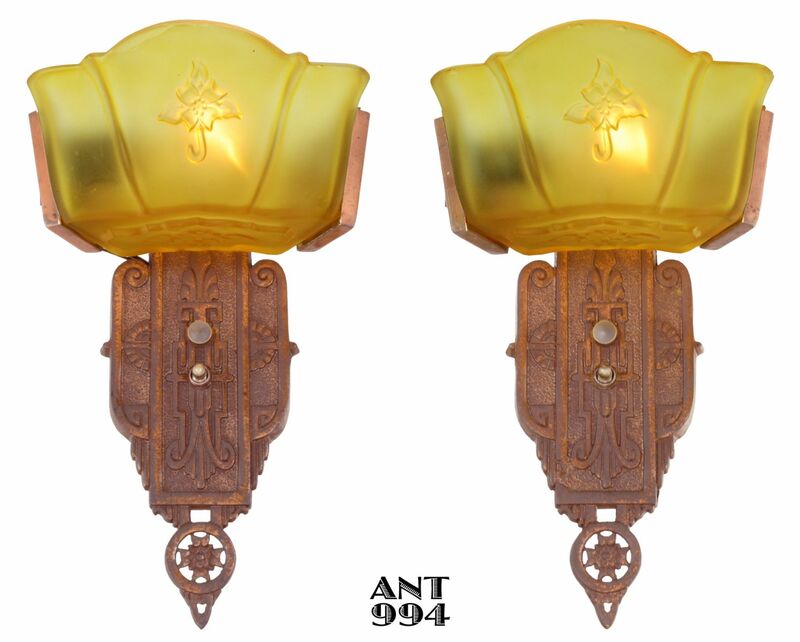 Their purpose was to spread a more even light as light bulbs were getting more powerful. 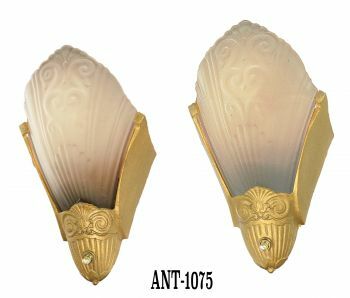 They wanted to reduce the “hot spot” generated by narrow slip shades. Markel was one of the biggest companies working in the Great Depression and had locations in America and Canada and Australia. 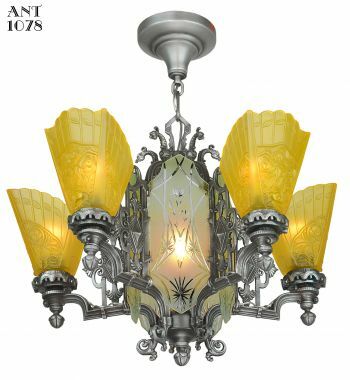 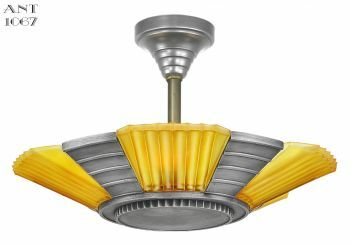 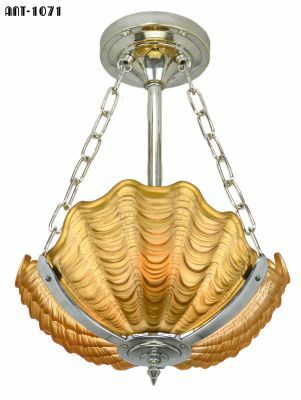 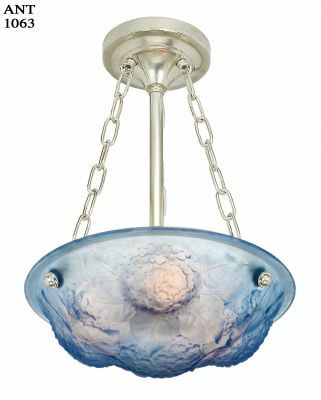 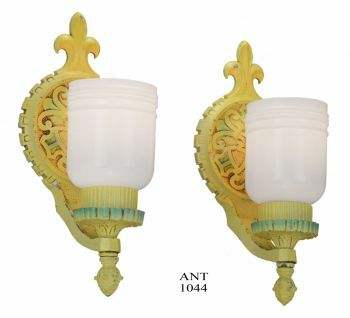 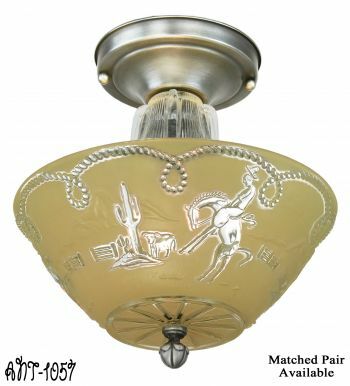 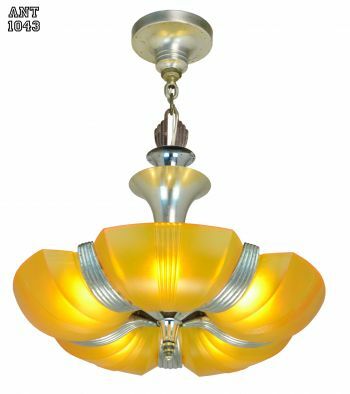 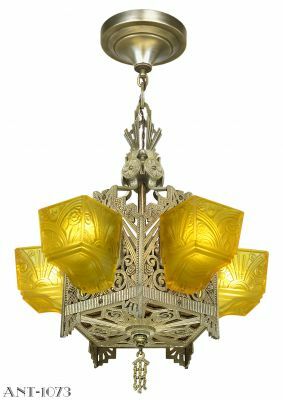 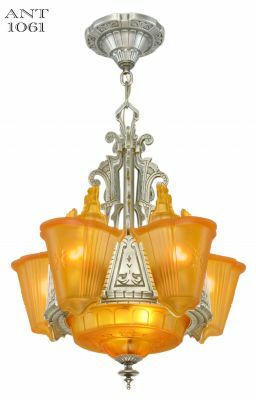 They made a lot of the antique slip shade fixtures that can be found in antique shops today. 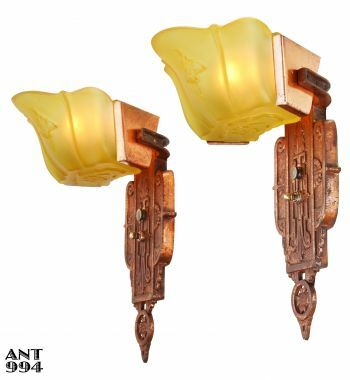 They were a quality company. 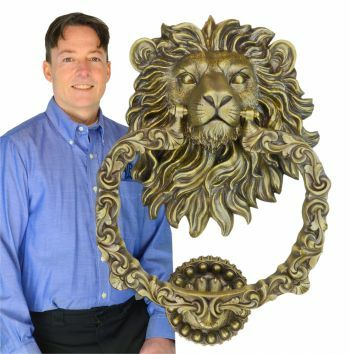 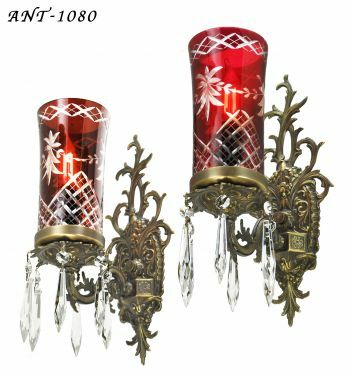 Cast iron sconce frames with the Original red-bronze finish. 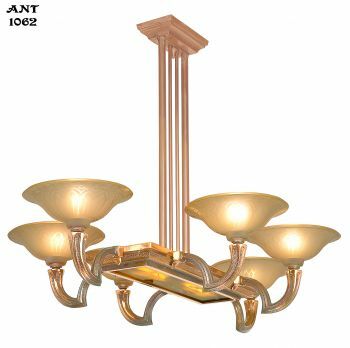 The finish, while being cleaned up “a mite“, is original and nice and mellow. 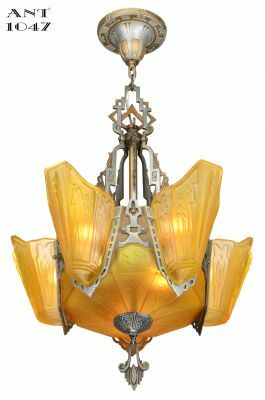 It does show it’s age with the odd wear mark here and there, but, It is antique after all. 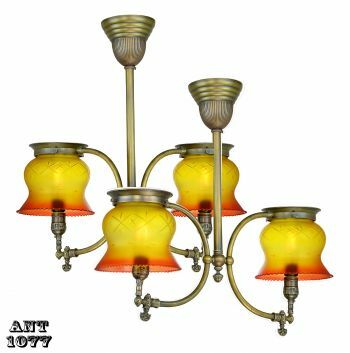 The shades are simply a treat and are in good condition. 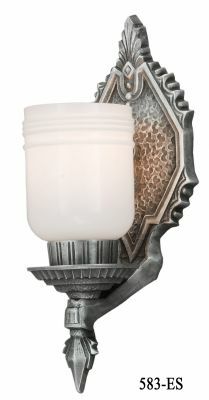 We have re-wired these neat sconces in our UL shop complete with rotary switches on each one. 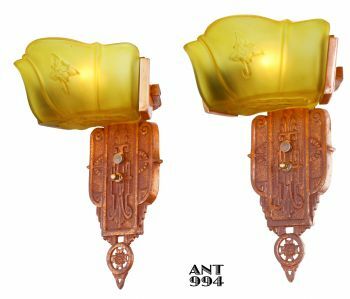 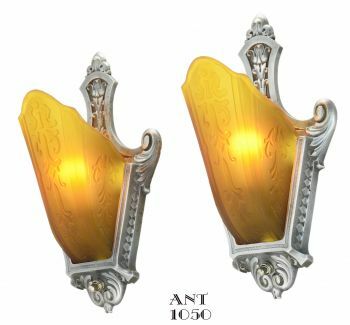 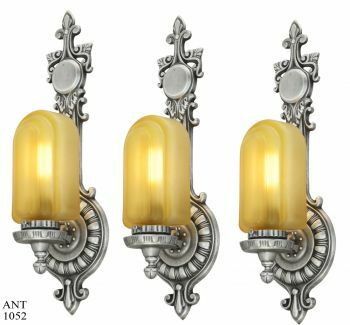 These sconces will be supplied with a full mounting kits so just add the bulbs of your choice. 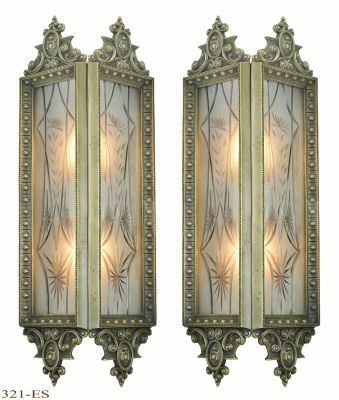 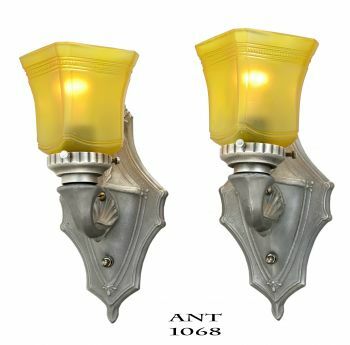 Price: $ 850.00 for the complete Pair of rewired sconces.... plus normal shipping charges.